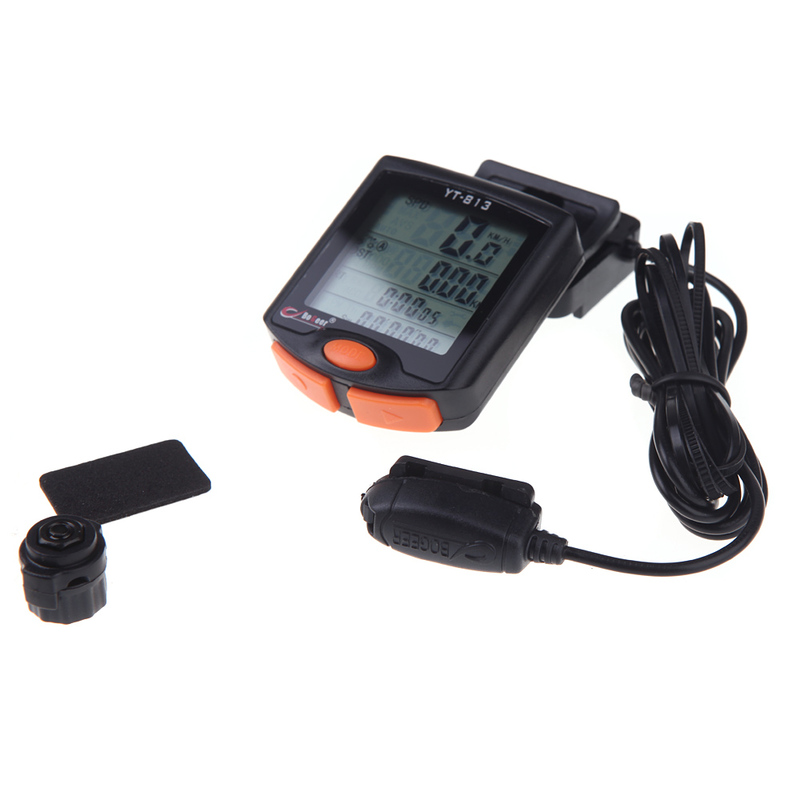 Multifunctional rainproof LCD bicycle speedometer, ideal companion for riding. 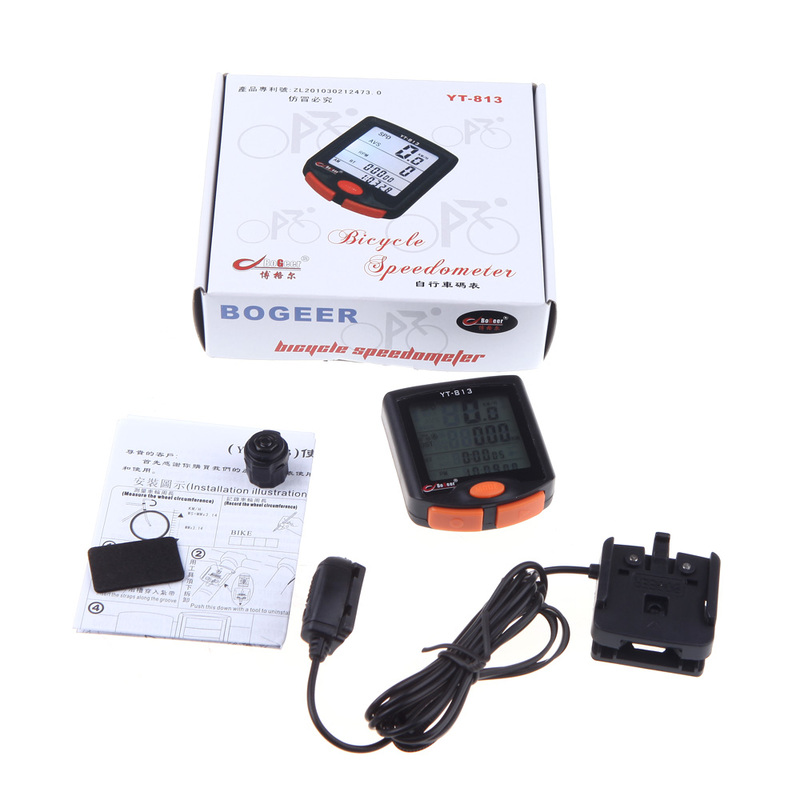 Imported sensors to provide stable performance, wide working temperature. 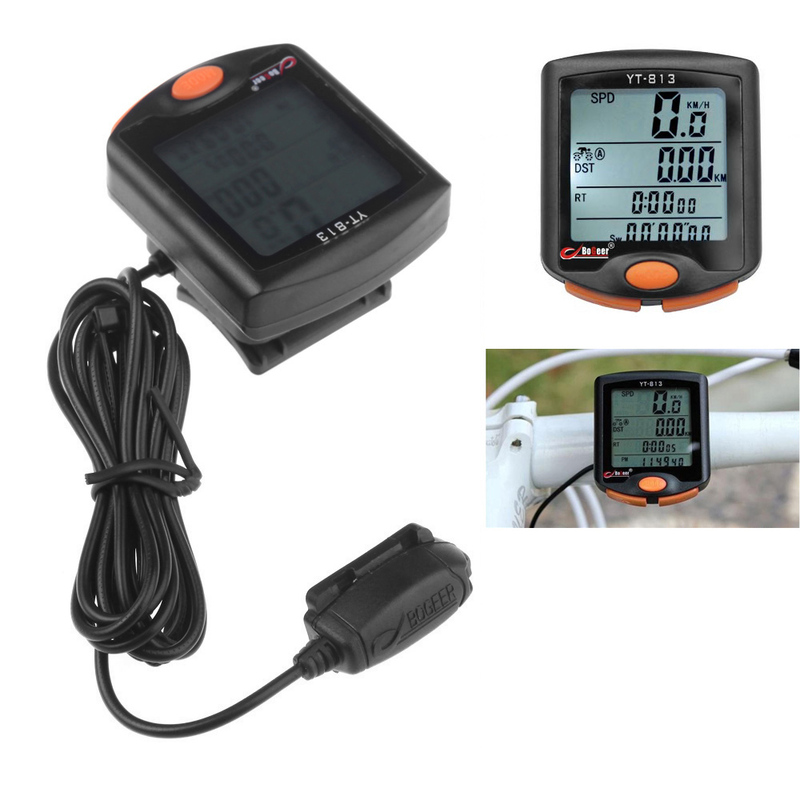 Four-row window real-time display the current speed, trip distance, riding time, trip time calorie consumption, current time and date. 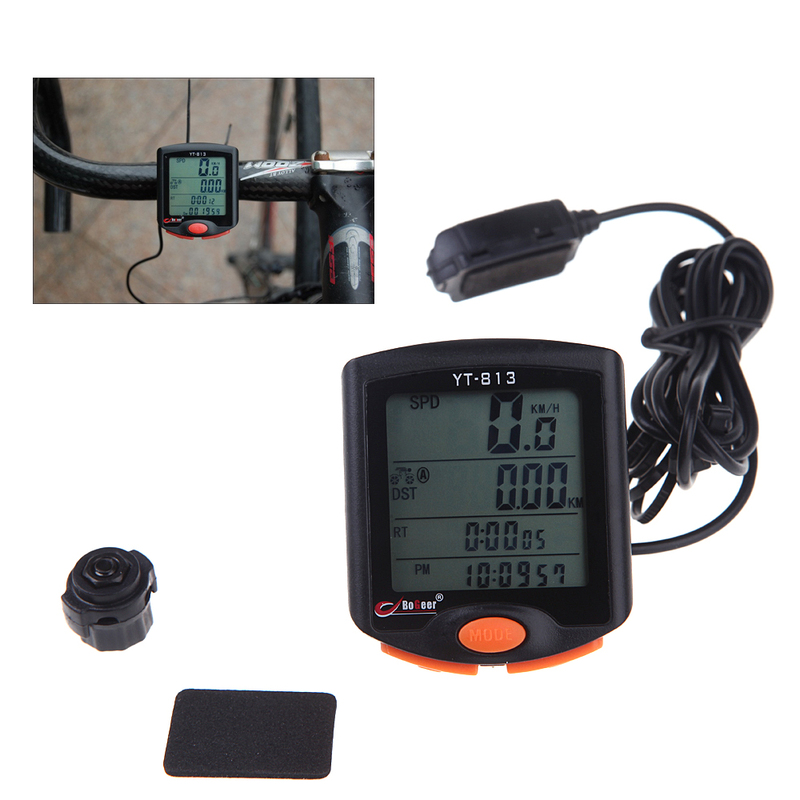 Easy view of the maximum speed, average speed, total riding time, total riding distance, current temperature and rotations per minute of the wheel. 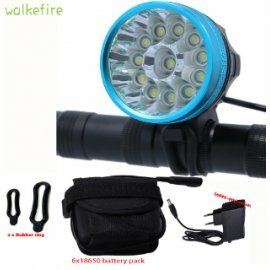 Backlit feature with high-brightness light source for a clear view of all data during your night trip. 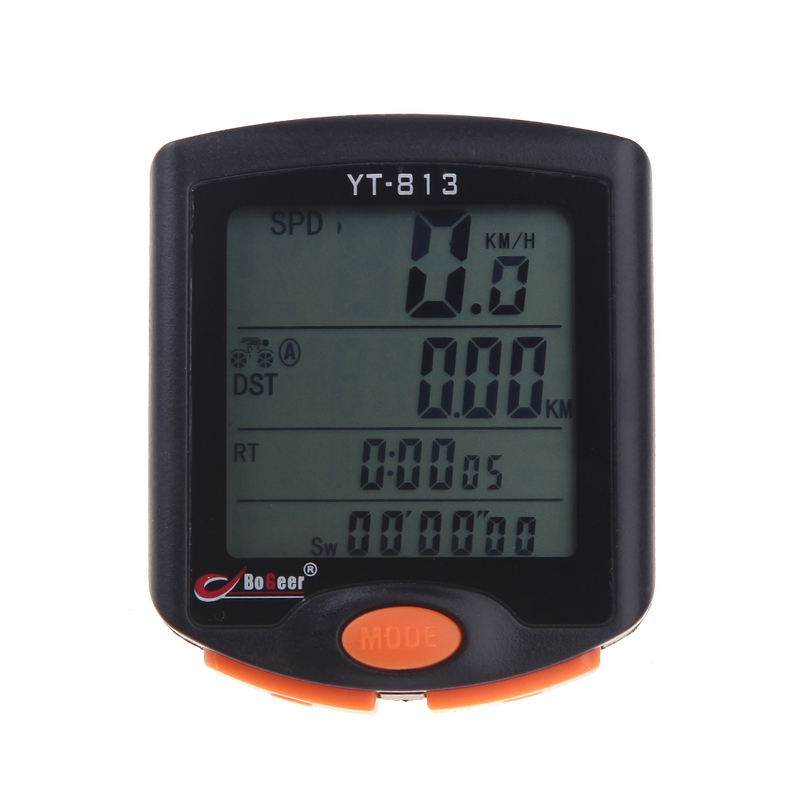 Real time indication of acceleration or deceleration for easy control of your speed. Overspeed reminder for safer cycling. 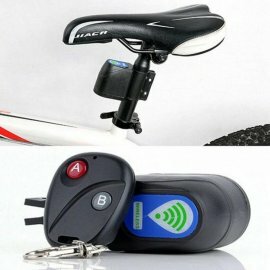 Bicycle oil/maintenance reminder to secure your bicycle's best performance and service life. 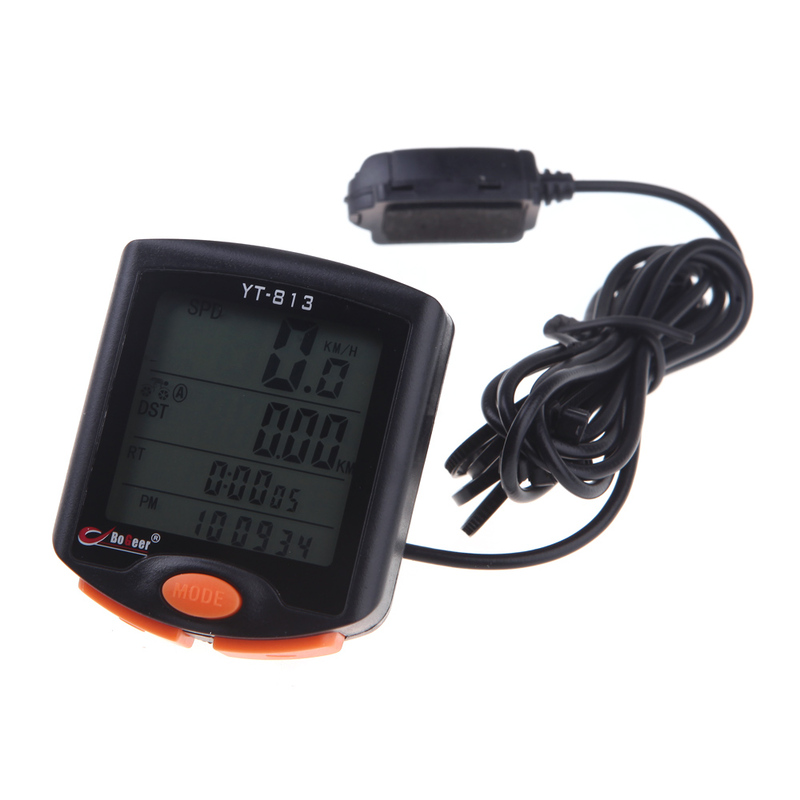 Low battery indicator for you to know the work situation of the odometer. 12h/24h, kilometer/mile and Celsius/ Fahrenheit optional with calendar. 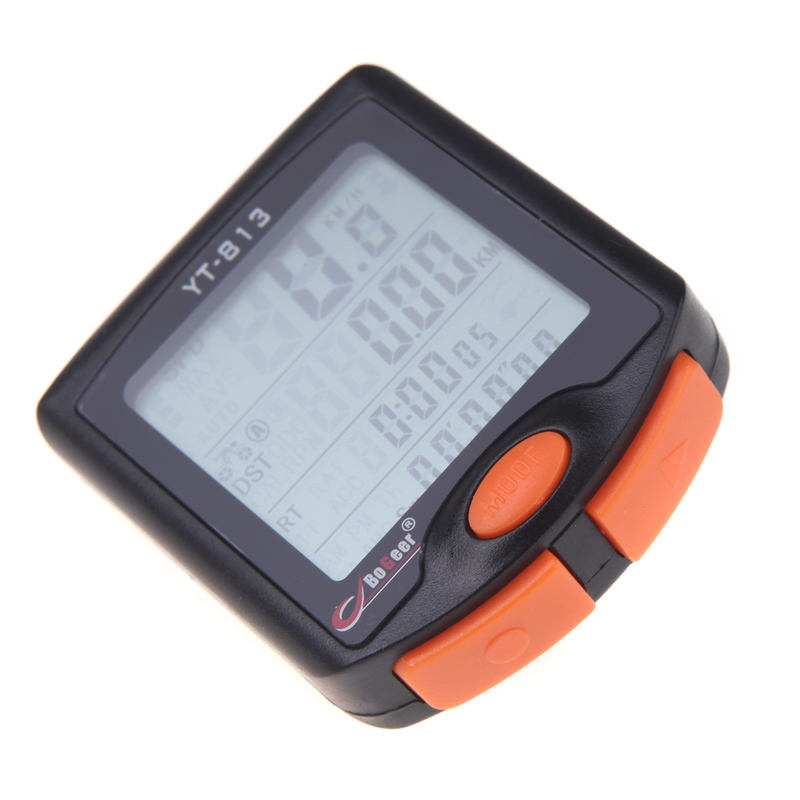 Stopwatch for you to check the data in competitions. 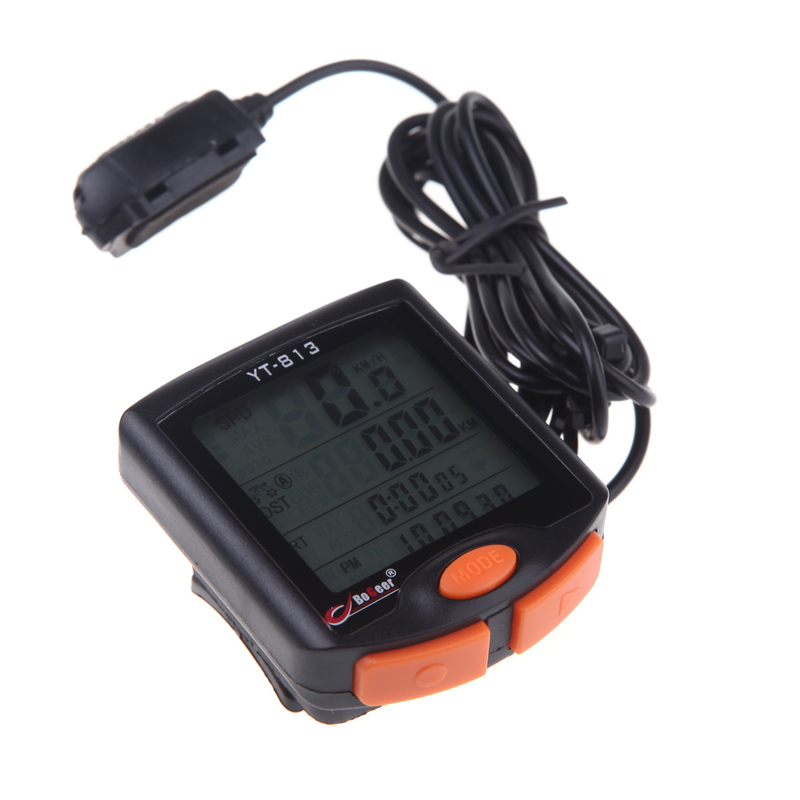 Wide range of use on 4~40" bicycles/electric bicycles or even motorcycles. 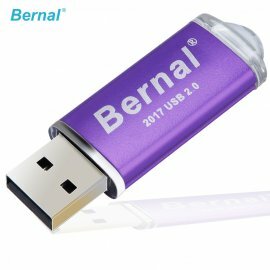 Easy installation and quick release, portable and durable. 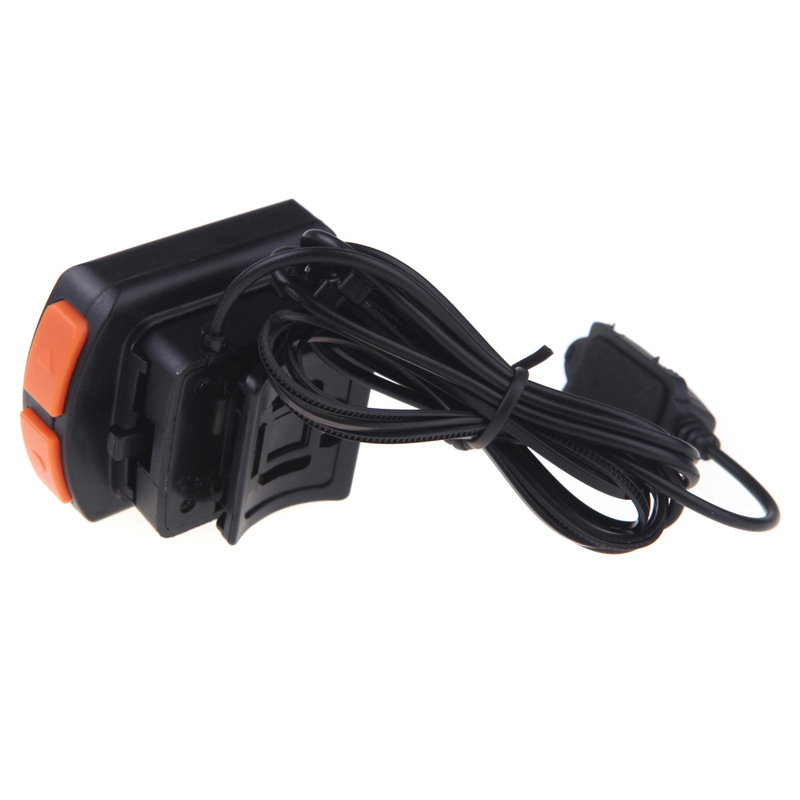 Do not use or place the device in cold, hot, damp or dusty environments. Please moist a soft rag with neutral detergent to clean the device.